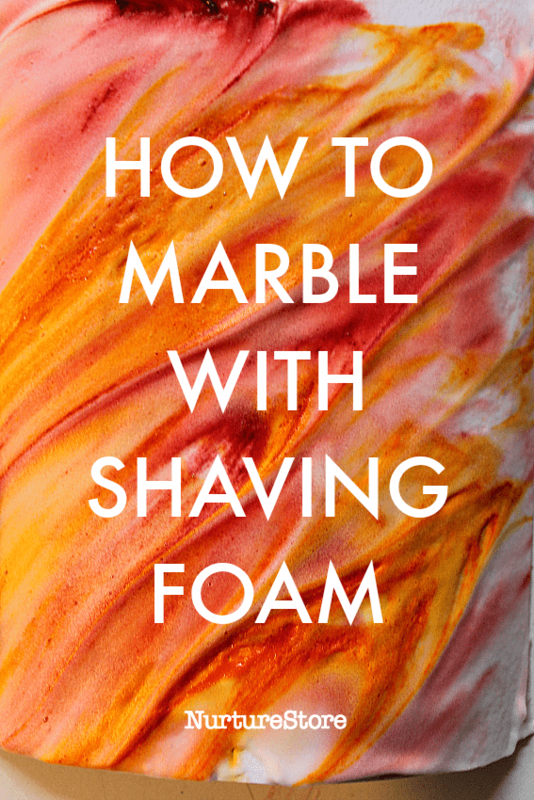 Start by squirting out some shaving foam onto your dish. You only need a thin layer, and this will act as your base. Then drop on some food colouring. We like to use Wilton food colouring gels. You can add as many different colours as you like. 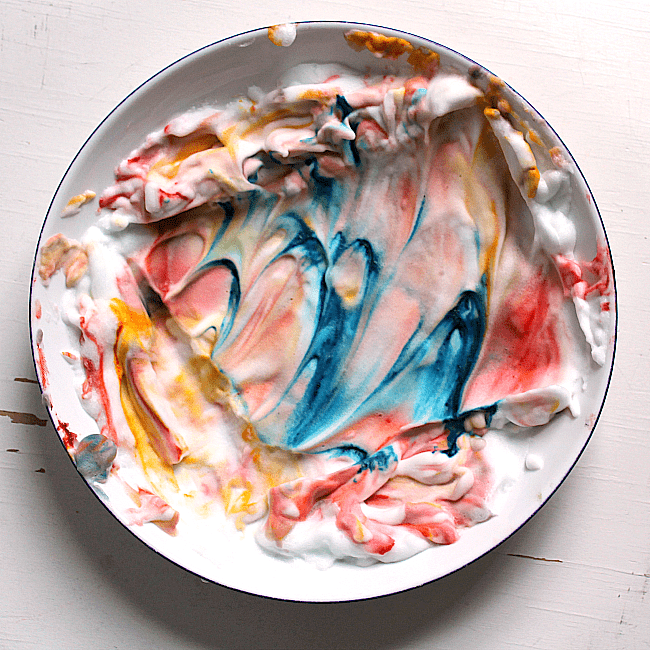 Use a toothpick, wooden skewer or pencil to swirl the food colouring through the shaving foam to create a design you like. 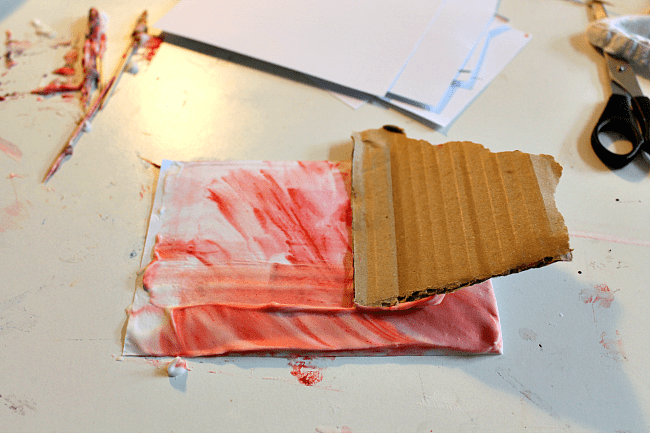 Then press a piece of paper or card on to the shaving foam, smoothing the paper/card a little so that all the surface is in contact with the foam. It only needs to touch for a second or two for the food colouring to transfer. Carefully peel back the paper/card and place it face-up on the table. 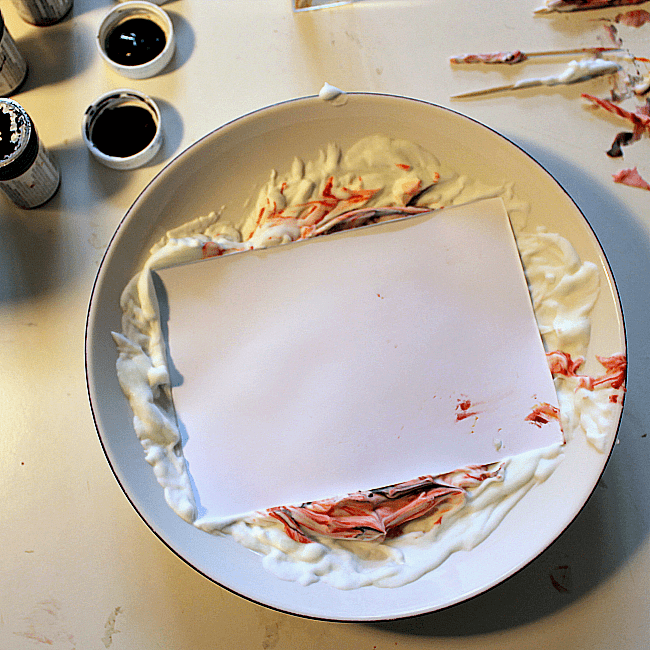 Use a piece of card, or a cloth, to wipe away the shaving foam and reveal your marbled print. You can repeat the process again and again, adding more food colouring if you want to. 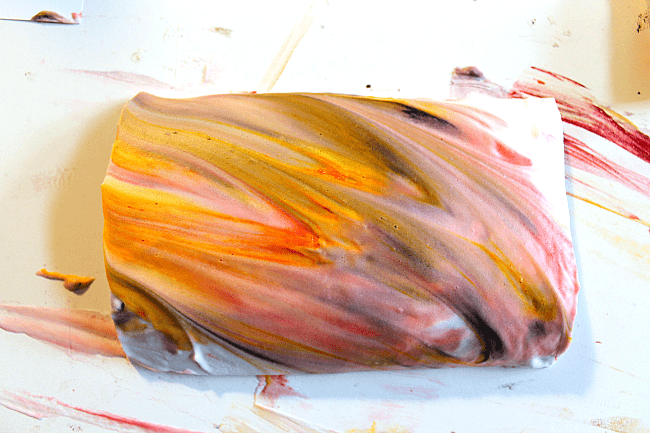 Once your marbling surface becomes to full of colours simply rinse off all the colour and foam and begin the process again. Experiment with different colour combinations. Try different numbers of colours together. 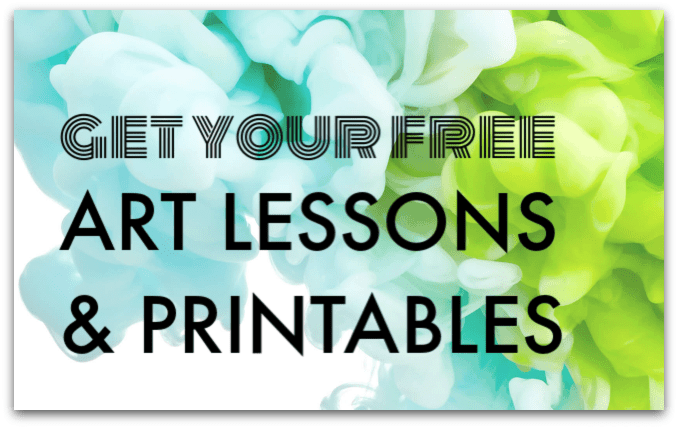 Each print you make will be unique. The marbled cards make a wonderful ‘patch-work’ display. They’re also wonderful to use for bookmarks or greetings cards. 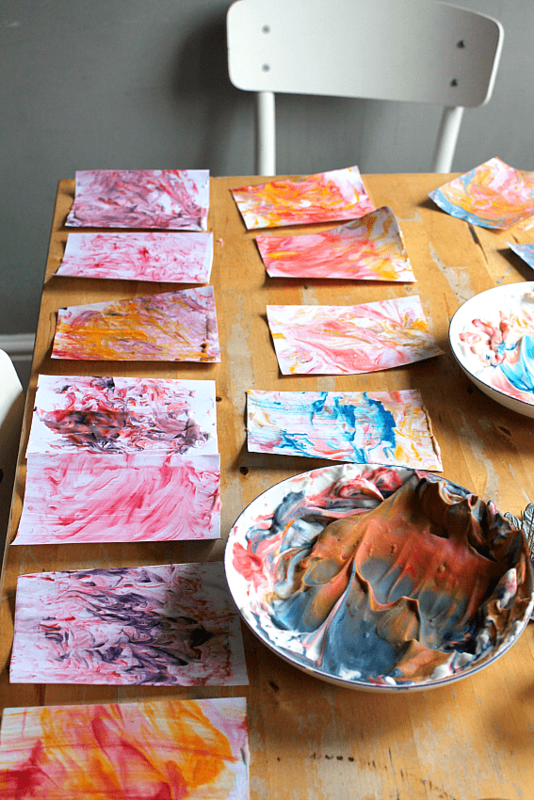 Click though here to see how to transform your prints into a beautiful marbled mobile. I love you Art spark ideas especially the famous artists. Hi Humairah. Yes, if you’re interested in the famous artists you’ll love Exploring Great Artists. And for process art/techniques you’ll find ideas in Art Spark.